In a victory for the state’s business community and a blow to progressive activists and labor unions, the Massachusetts Supreme Judicial Court on Monday ruled a question to set a higher income tax rate on earnings over $1 million and earmark the additional revenue for education and transportation cannot appear on the ballot. The court, in a split decision, said Massachusetts Attorney General Maura Healey, a Democrat, was wrong to certify the initiative to appear on the November ballot. The majority of the justices said the initiative ran afoul of the state constitutional requirement that ballot questions be about subjects that are related or mutually dependent. David Nagle, a tax attorney with the Boston law firm Sullivan and Worcester, said the court found the question unfair to voters who might support raising taxes on the rich, but not earmarking the additional revenue for specific purposes. "One of the interesting things about the opinion is that it is written in a way that would make it difficult for proponents to tie a specific use of funds to a comparable kind of tax," said Nagle. " The opinion does suggest a tax provision, like the one proposed here, will also stand on its own and not be related to any public good that might be funded." Advocates for the question said it would raise as much as $2 billion a year for transportation and education, two areas of the state budget, they argue, that are chronically underfunded. The business groups that sued to block the question from the ballot said the 4 percent surtax on personal income over $1 million would hurt the state’s economy and might prompt rich entrepreneurs to move away. One of the plaintiffs in the suit, Eileen McAnneny, president of the Massachusetts Taxpayers Foundation, is very pleased with the court’s decision. 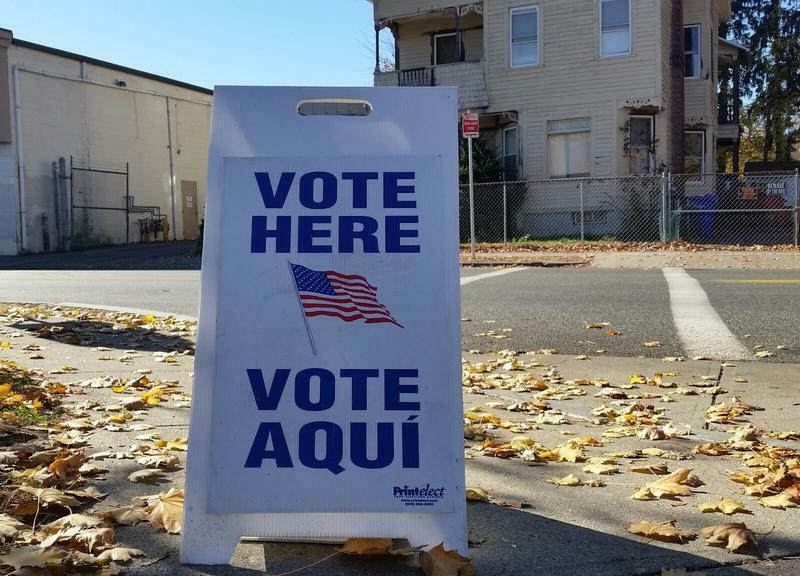 "There were enormous fiscal, legal, and economic implications of this ballot initiative, so I am very glad the court found in our favor," said McAnneny. The Raise Up Massachusetts coalition of left-leaning activists and labor unions started the process three years ago to put what it called the “Fair Share Amendment” on the 2018 ballot.
" We are incredibly disappointed that a small number of wealthy corporate executives and their lobbyists blocked the right of Massachusetts voters to make these important changes to our state's constitution," said Andrew Farnitano a spokesman for the coalition. Massachusetts Democratic candidates for governor Jay Gonzalez and Bob Massie both strongly supported the “millionaires tax.” Republican Governor Charlie Baker had not taken an official position on it. Raise Up Massachusetts is sponsoring two other questions on this year’s ballot – one to raise the minimum wage to $15 and another to require paid family and medical leave. 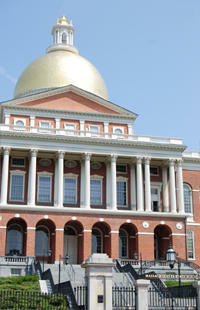 A ballot question backed by the Retailers Association of Massachusetts would cut the state’s sales tax to 5 percent. In a separate ruling Monday, the state’s highest court cleared the way for a question on the November ballot from the Massachusetts Nurses Association on hospital staffing levels. The stage is being set for a fight in Massachusetts’ highest court over whether a question on raising taxes on the rich can appear on next year’s ballot. Five business groups have sued to try to keep the so-called “millionaires tax” proposal off the Massachusetts ballot next year. Voters in Massachusetts in 2018 may decide on a major tax cut, raising the minimum wage, and putting a surtax on the state’s highest earners along with several other issues that have been cleared legally as potential ballot questions. 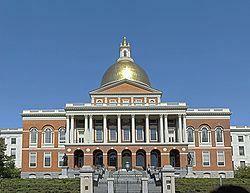 The largest business alliance in western Massachusetts, the Springfield Regional Chamber, has announced its legislative agenda for 2018. Massachusetts legislators are expected to vote Wednesday to put the so-called millionaire’s tax on the 2018 election ballot. A new report from a well-respected fiscal watchdog group warns the proposal to raise taxes on the rich to bring in more revenue could backfire.